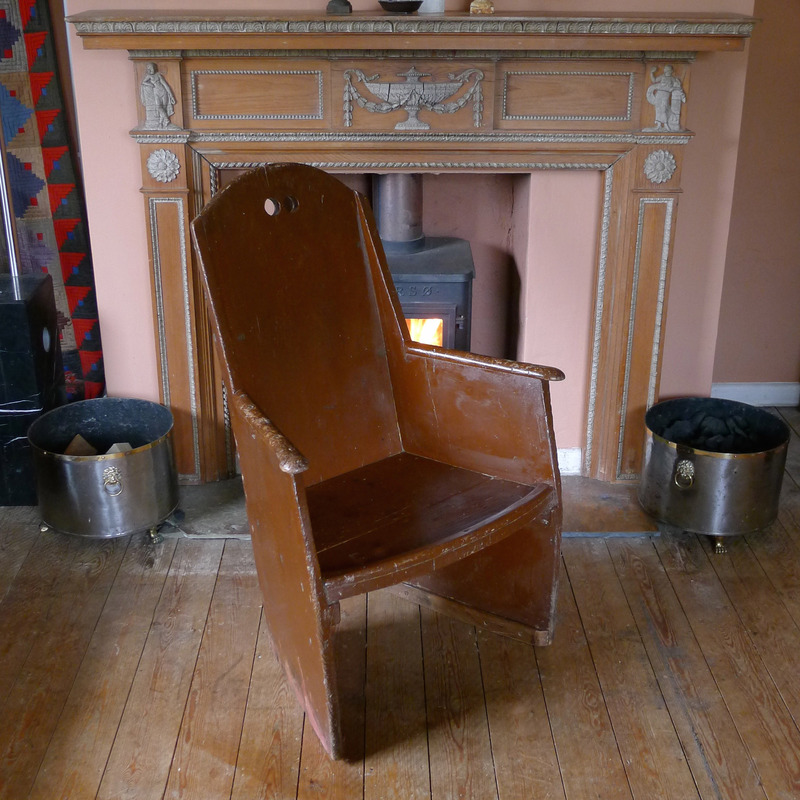 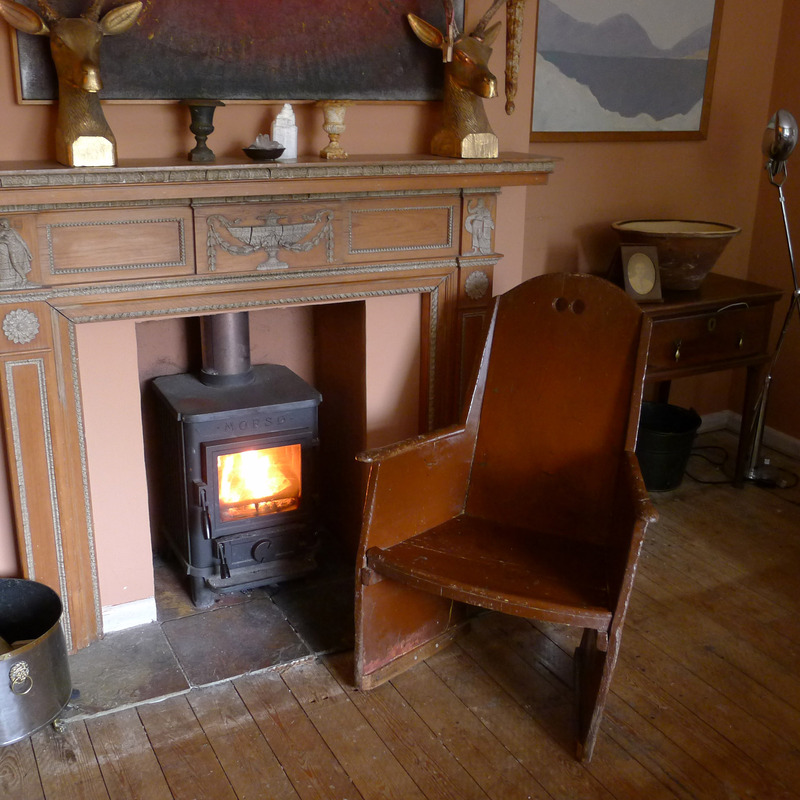 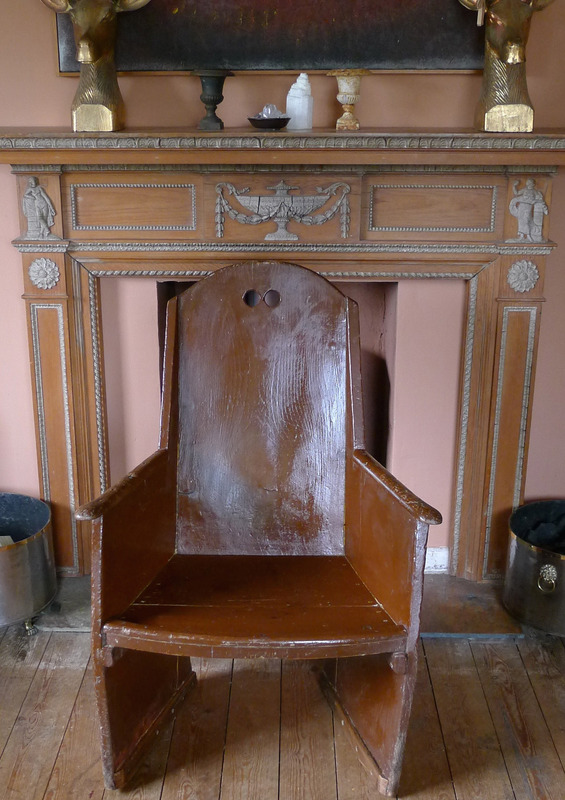 18th Century Irish provincial rocking chair. 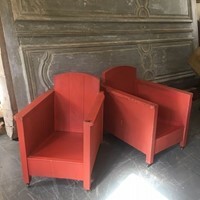 Ash and Pine in original paint. 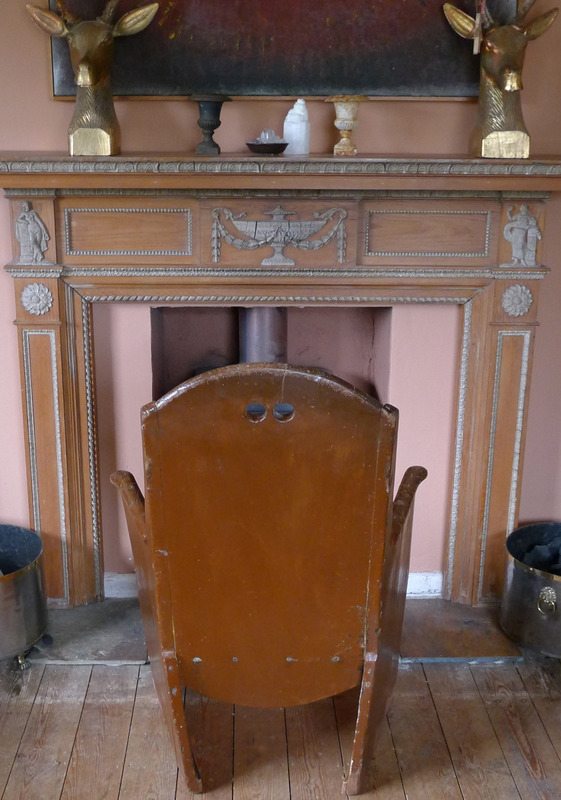 Six 18th Century Louis XV carver dining chairs. 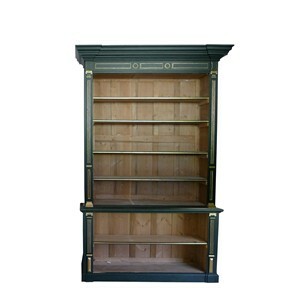 Large Georgian painted and parcel gilt bookcase.